Big news for Kara Saunders. CrossFit Games veteran Kara Saunders (formerly Kara Webb) is pregnant with a baby due to be born in May 2019. She recently published the instagram post below. 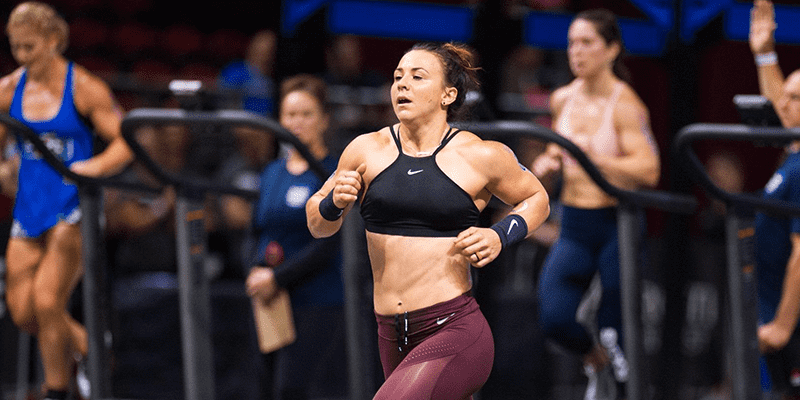 Although it is still unconfirmed by Kara herself, it is a safe bet now to assume that she will not be competing in the 2019 CrossFit Season. Kara Saunders has had a long and successful career at the CrossFit Games. She also won the Spirit of The Games Award in 2016. The last time Kara was in Berlin, we caught up with her and talked through her thoughts on training, the future of CrossFit and her perfect day. – Editor’s Note: These interviews were produced before Kara had been married, hence her original maiden name.